While many don't think of Illinois for retirement, there are many active adult communities in Northern Illinois. Whether looking to downsize or planning retirement years, there are dozens of communities that cater to active adult homebuyers. Whether looking for a 5,000-home age-restricted community or a quaint 300-home neighborhood with low-maintenance homes, Northern Illinois has a variety of options. With Chicago in drivable distance, communities enjoy a quiet suburb feel close to big-city entertainment. Northern Illinois 55+ communities enjoy a location in the Midwest with a four-season climate. Usually winters are cold with plenty of snowfall and summers are hot and humid. Unlike the southern part of the state, the average snowfall is over 38 inches in the Chicago area. May and June are the wettest months that see the most precipitation throughout the year. On average, Illinois as a whole sees about 50 days of thunderstorms per year, which is above the average for the nation's number of thunderstorm days. In terms of geography, the Chicago metropolitan area encompasses the majority of Northern Illinois. This includes the city of Chicago and its surrounding suburbs. Active retirement communities in Northern Illinois can be found in the following counties: Cook, DuPage, Kane, Lake, McHenry, and Will. Active adult neighborhoods in Northern Illinois are found all the way north to the Wisconsin border and south to the city of Joliet. Lake Michigan is the largest body of water in Illinois and there are many smaller lakes found throughout Lake and McHenry Counties. Though the winters are cold in Northern Illinois, there is plenty to see and do throughout the year. The city of Chicago is the third most populous city in the country after New York City and Los Angeles. The city is filled with vibrant neighborhoods that offer a multitude of different cultural opportunities, cuisines, and attractions. Upscale shopping along the Magnificent Mile and State Street are popular tourist attractions. Outstanding museums along the lakefront include the Alder Planetarium & Astronomy Museum, Field Museum of Natural History, and Shedd Aquarium. Farther away from the city, active adult homebuyers enjoy the endless opportunities for recreation. 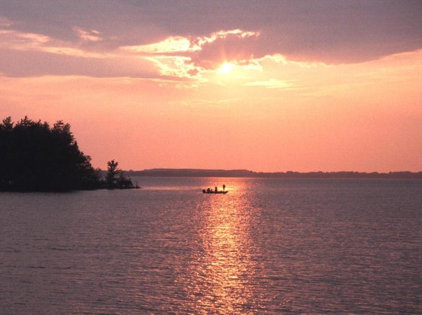 Besides Lake Michigan, dozens of smaller lakes are available for fishing and boating. Popular outdoor recreation activities in Northern Illinois include archery, biking, camping, canoeing/kayaking, hiking, horseback riding, hunting, rock climbing, and snowmobiling. Active adults and retirees enjoy all of these activities at the many state parks, beaches, trails, campgrounds, and indoor recreation complexes. Cost of living in the state of Illinois is about average for the nation. In 2013, the median home price was slightly over $154,000. Income tax is collected at a flat rate of 5%, higher than the national average. The average sales tax is 6.25% compared to 5% for the national average. More luxurious active adult communities can be found throughout the Oak Brook area while many affordable home options are found in almost every county. Generally speaking, the healthcare in Northern Illinois is good as the physician per capita is higher than the national average. Northwestern Memorial Hospital, Rush University Medical Center, Advocate Christ Medical Center, Alexian Brothers Medical Center, Loyola University Medical Center, University of Chicago Medical Center, NorthShore Evanston Hospital, Cadence Health Central DuPage Hospital, St. Alexius Medical Center, and the Rehabilitation Institute of Chicago are all nationally ranked hospitals near 55+ communities in Northern Illinois. Also, an additional 37 hospitals have ranked for high performance.